CAARE aims to promote practitioners’ active engagement in critical inquiry into their own practice as part of their ongoing professional development in seeking and generating new knowledge and quality teaching practices. Provide simple guidelines to help interested practitioners to set up their own action research activities as they inquire into their own practice. Provide workshops to help practitioners to work with action research or collaborative research methodologies , e.g., identifying problems and questions, planning for change and implementing the evaluation and reflection processes. Facilitate the knowledge exchange process by providing a virtual space for practitioners to discuss issues regarding reflective practice and share success stories and lessons learned from past practices taking into account of the institutional and wider social and cultural contexts. Connect with other like-minded practitioners and researchers for ongoing creative and critical dialogue and seek possibilities for collaborative opportunities. Abstract: Changes in Indigenous education policies and practices are bringing new opportunities to enhancing and enriching teacher education. This presentation will draw on my recent teacher education research, which is engaging educators through observations and reflections on their practices. They explore with me how identity, teaching, and curriculum intersect in their teaching of Indigenous perspectives, knowledges, pedagogies, and materials. Through their explorations we are coming to see the nature of vulnerabilities among instructors in taking up this critical area in the classroom, which speaks to a need to develop nuanced strategies for building relationships and understanding among teacher educators and pre-service students. 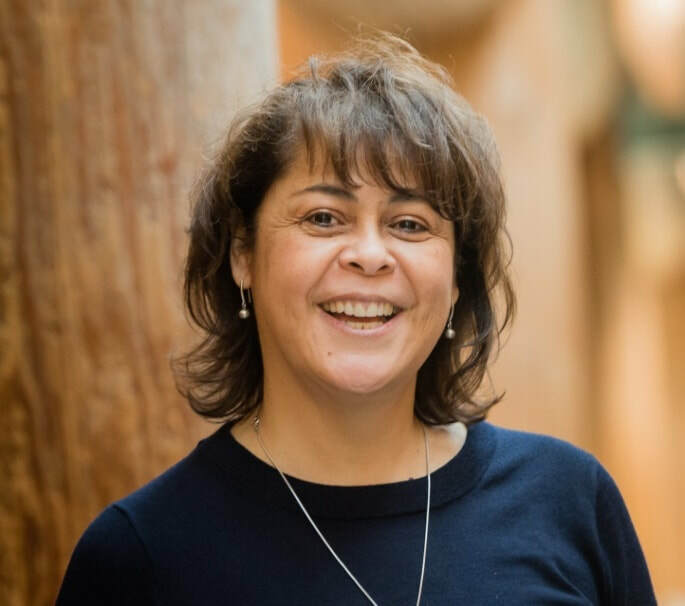 This talk will also consider how the traditions of collaborative inquiry, as a form of action research, can be seen as mobilizing concepts drawn from Indigenous research traditions. Massive Open Online Course (MOOC), Reconciliation Through Indigenous Education. You are invited to continue the discussion with Keynote Speaker, Dr. Jan Hare, at the “Action Research and Indigenous Education: Going Beyond Eurocentric Scholarships” Symposium (Please see details below). Abstract: If you are keen in discussing the CAARE’s 2019 Keynote themes of Indigenous perspectives, Teacher Education and Action Research, please attend for a stimulating discussion. We plan to use this session as a springboard for publication opportunities with the Canadian Journal of Action Research (CJAR). We welcome scholarly contributions to create a special issue by Fall 2020 on Indigenous perspectives and Action Research in CJAR. All submissions will go through a blind peer review process in accordance with CJAR. Abstract: As has become the tradition with CAARE, this panel will use last year’s keynote focus as a springboard to continue the conversation. In this case, to examine how audit culture and New Public Management imperil action research and the imaginative possibilities inherent in teaching and research. Externally imposed accountability standards are, in practice, end-runs that allow states, outside organizations, or university administrations to effectively bypass academic freedom without direct confrontation. Rather, we are left with the banal herding of our “selves” through metric funnels onto performance treadmills. That is, even when outside agencies and administrator-managers are not overtly limiting academic freedom through direct intervention, the audit culture, through a litany of incentives and disincentives leaves little or no time for other forms of “uncounted” work. The following panel will examine various aspects and entry points into this topic from a variety of perspectives. Abstract: Calling all scholars, educators, and students interested in action research! Join us in a symposium to share insights, challenges, and successes of implementing action research in teacher education. The dialogue during the symposium aims to invoke interest in sharing course and project designs, solutions to challenges with scheduling, faculty, ethical review process, institutional barriers, and methodological issues to implementing action research. Join us in a discussion on how we can collaborate on academic writing on the topic of Action Research in Teacher Education. Abstract: The value and legitimacy of action research (AR) has slowly grown and the literature acknowledges its increased usage for doctoral dissertations and leadership development for graduate students (Gibbs et al., 2017; Osterman et al., 2014). However, methodological support and mentorship meagrely exists for graduate students who conduct and publish AR. Graduate students would benefit from further mentorship opportunities within the Canadian Association of Action Research in Education (CAARE) community. This roundtable session aims to: a) provide a supportive opportunity and space for graduate students to share their AR projects with the community of action researchers and receive constructive feedback; and b) promote graduate students’ reflections and further engagements with AR as a way to build theory through practice. Students may present their ongoing or completed AR projects or an AR design at its initial proposal stage. The roundtable format encourages constructive peer feedback as well as further collective discussions regarding different AR initiatives. In sum, this session aims to foster a learning community for mentorship and exchange as well as provide a valuable resource and supportive network among graduate students and action researchers. Finally, it will promote greater dialogue and learning among the community of researchers within CAARE and CSSE. Abstract: Audit culture and New Public Management imperil the critical and imaginative possibilities inherent in teaching and research. Audit culture renders us as auditable subjects, compelling us to conform to its own (ideological) notions of what counts as scholarship, and especially to, what can be easily quantified, tabulated, and standardized for the purposes of comparable benchmarking. When the tail then wags the dog by leveraging such narrowly applied metrics, whole realms of endeavour are devalued or left out of the equation altogether, including practices such as “slow” research, action research, community-based and participatory research designs, alternative forms of scholarship and dissemination, and public policy work. Doing what matters over what counts is always under constant threat of discountenance by a suffocating array of metrics in our increasingly audited and surveilled university. Following an examination of these fundamental changes to traditional collegial management practices, this presentation concludes with a series of calls to collective action and resistance. Biography: Marc Spooner is a professor in the Faculty of Education at the University of Regina. He specializes in qualitative and participatory action research at the intersections of theory and action on the ground. His interests include homelessness and poverty; audit culture and the effects of neoliberalization and corporatization on higher education; and social justice, activism, and participatory democracy. He has published in many venues, including peer-reviewed journals, book chapters, government reports, and a wide variety of popularizations. Together with colleagues at the University of Regina, he also co-hosts a popular education series that takes place in pubs—not on campus—entitled Talkin’ about School and Society. With James McNinch he is the editor of a recent book critically examining the academy entitled Dissident Knowledge in Higher Education, University of Regina Press. You are invited to continue the discussion with Keynote Speaker, Dr. Marc Spooner, at the “Action Research in an Age of Neoliberalism” Symposium (Please see details below). Abstract: If you are interested in discussing the themes that emerged out of CAARE’s 2018 Keynote on Neoliberalism and Action Research, please attend for a stimulating discussion. We hope to use this discussion as a springboard for a publication opportunity with the Canadian Journal of Action Research (CJAR). We welcome scholarly contributions to create a special issue by Fall 2019 on Neoliberalism and Action Research in CJAR. All submissions will go through a blind peer review process in accordance with CJAR. Professional and academic values in conflict: Walking a fragile tightrope! Abstract: Action Research (AR) in Education (and related fields) are often characterized by including grassroots, emancipatory, care based and shared ownership approaches to identifying problems and advancing potential solutions. The results of such practices are anticipated hopes of constructive transformative change for participants, organizations and communities. Such laudable goals, such as AR endeavours with liberatory designs, require commitments on the part of all researchers towards human beings that sometimes expand past the formal or informal borders of the researcher's institutional norms. Whether it is the schoolroom teacher engaged in strategies to empower students who rank as lower priorities on administrators' agendas to demonstrate schoolboard success, or the professor who experiences a profound moment of engagement with community co-researchers in remote locations that fall outside original research ethics board's protocols, action researchers are often faced with ethical choices that confront written and unwritten expectations. Further complicating this methodological approach is the feature that makes it so appealing to activist oriented researchers; that being its fluidity and creativity of application to local needs. All the while, countless Action Researchers strive for the highest ethical standards, using the central strategies of the self-reflective spiral of action, observation and reflection to guide their decisions. This panel will share experiences of AR engagement and approaches to process, responsibilities and strategies in multiple contexts that help to inform discussions on ethical standards. Abstract: Hallmarked by a commitment to shared ownership, analysis and action with community (Kemmis & McTaggart, 2003), Action Research (AR) provides exciting possibilities that can lead to authentic and partnership based transformation, however the process to engage in this work can sometimes feel hampered by the Research Ethics Board (REB) process. This can be especially challenging when communities identify greater needs, and the collaborative pressures to develop tangible outcomes from AR, understandably, take on increased pertinence to all aspects of research, particularly in regard to identifying risk versus benefits. This crucial step of risk versus benefits analysis and interpretation can often be problematic to the AR community, in particular to those working in relationship with partners and contexts outside of norms of academia and the membership of the REB. AR field research in remote locations, as an example, often requires approaches that are fluid, adaptive and organic, and in keeping with AR’s key features, centers on invaluable input, leadership and direction from local community. However, this reflective fluidity in in the moment can sometimes appear at odds with established REB protocols, which may lead the research team to believe their work is being shaped by forces both unaccustomed and unaware of such realities, resulting in some researchers to view the REB as a hurdle, rather than an ally. As a member of both the REB and an AR team in rural Malawi, C. Darius Stonebanks will share his experiences in navigating the risk versus benefits conundrum. Biography: C. Darius Stonebanks has been a member of Bishop’s University’s Research Ethics Board since 2009 and acted in the capacity as Chair for over four years. He has been awarded the divisional teaching award twice and the Chancellor’s teaching award in 2016. Among his publications are James Bay Cree and Higher Education: Issues of Identity and Culture Shock, the co-edited Teaching Against Islamophobia and the NAME’s Philip C. Chinn book award winning Muslim Voices in Schools. In 2009, he co-founded the ongoing interdisciplinary Action Research project, Transformative Praxis: Malawi, with local community in the rural region of Kasungu, Malawi, connecting social justice theory to practice. He is also the Primary Investigator on the SSHRC funded ethnographic research project examining the secular nature of Canadian public schools. This symposium will provide scholars interested in action research with insights on how to navigate the ethics review process when conducting action research. The dialogue will draw on this year's CAARE keynote speaker's address on Research Ethics in Action Research given by Dr. Christopher Stonebanks. Through theoretical discussions and sharing of practices and success stories, the goal of this symposium is to invoke interest in designing and implementing action research projects at various institutions by addressing the burning issues regarding the ethics review process, institutional barriers, and methodological challenges in educational action research. The symposium also aims to provide a platform for like-minded researchers for ongoing dialogue and possibilities for collaborative opportunities in future research and publications. In this symposium, ten of the twenty authors who have contributed to a book entitled “The Future of Action Research in Education: A Canadian Perspective” will provide insights on their chapters in progress. This symposium will generate discussion about action research scholarship in the field of teacher education from all across Canada. The symposium will be facilitated by the editors of this book, Dr. Kurt Clausen and Dr. Glenda Black. The goal of this symposium and polygraph volume is to create awareness and unification around the importance of action research in teacher education across the country.